I received a mini version of Benefit's Bad Gal Lash Mascara in a magazine so long ago, and the other day I was "shopping my stash" and came across it once again! I used it a while ago but then got bored and moved onto a different mascara, but since rediscovering it (and this is a rare thing for me) I haven't changed up my mascara routine since! This mascara isn't amazing at lengthening my lashes, but it is amazing for making them look fuller. I think this is due to the huge wand, I thought the wand may have been smaller because it was a mini, but I don't think it could get any bigger. With this mascara you do have to put a few coats on but unlike some other mascaras when you build it up it doesn't clump or make your lashes feel crunchy/crispy if that makes sense! The only downside to this mascara is that sometimes it doesn't last that long on my lashes, especially in this heat, it ends up half way down my face! I'm pretty sure they have released a waterproof version which I shall definitely be purchasing when this one runs out! 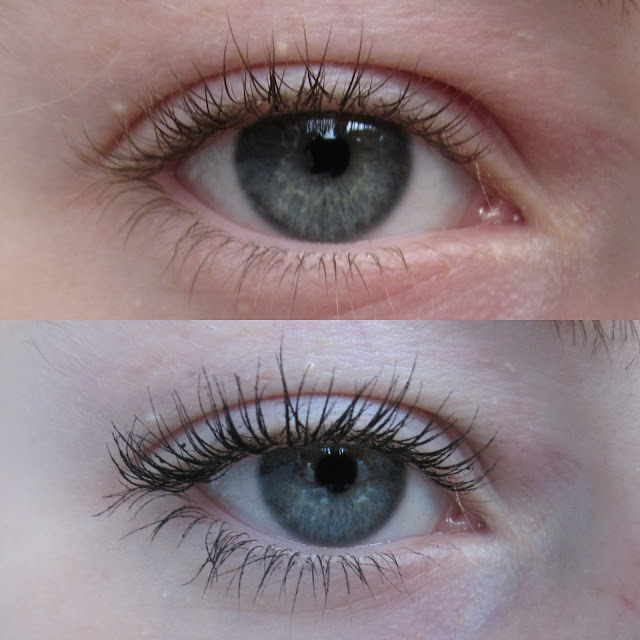 20 comments on "Benefit Bad Gal Lash Mascara Review"
Gorgeous! Really does enhance your lashes naturally. And your lashes are incredibly long! It looks great on your lashes but I wasn't overly impressed with it, saying that, it was years ago when I tried it. May have to purchase a sample size and give it another go. I love the they're real one they do. I own a mini of this and love how volumizing it is! I definitely agree with your review! Bloody hell it looks amazing! Wow! it's a good mascara but I def prefer the they're real! one:) followed you hun, be fab if you could take a look at my blog?